Richard Askwith calls it “Big Running”. It’s when a natural and instinctive activity falls prey to the marketing men; when running becomes something we spent money on expecting certain returns, rather than a simple activity that enriches our lives. It’s when over-hyped and unimportant road races gobble up space in newspapers and get live television coverage – unlike, say, the National Indoors or even the Women’s Mini Marathon that are deemed worthy of only a post-race round-up. “Big Running” advises us to buy special running headphones and to download training “apps” immediately after buying our first pair of high-tech, overpriced running shoes. Specialist running shops are filled with expensive “breathable” gear, watches, hydration systems and laces that won’t come undone. There are even specialist socks, one for the left foot and one for the right, which you soon discover get holes in them just as quickly as the five for €5 lot bought from the bargain bin. In this hothouse world, you must try and get faster and you must record every mile you run and then broadcast this information to your Facebook and forum followers. You must own a Garmin and be ready to criticise any race that isn’t measured correctly to the last metre. You demand high standards for the large entry fees you pay out at races – and why not? In such a world, there is rarely time to stop and stare – or even to smile or exchange a few words with fellow runners. It’s all a bit much isn’t it? Then there is the other world: of those who love to run. Here are those runners who don’t care about times anymore and whose almost new Garmin lies forgotten in a drawer. They don’t race much – and if they do, it will be a small local race or trail run. Yes they are probably older – but they are still happily running several times a week and loving it. Richard Askwith is one of those people. He has written this book because he feels that the simple human activity of running – preferably off road – is getting lost in all the hype. He describes seven ages of running – (I’m summarising here) novice, getting better, racing and aiming for times, racing and aiming for the most daunting challenges you can imagine, getting older and slowing down, abandoning races and running for the sheer pleasure of it and then – well, that’s yet to come. 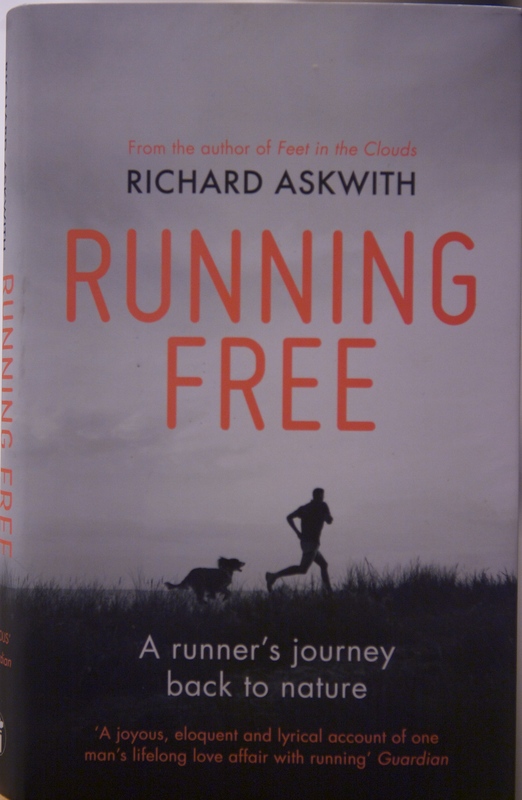 Askwith started as a road runner but then turned to the hills and – as recounted in his classic book “Feet in the Clouds” – completed a Bob Graham Round, which is one of fell running’s more extreme challenges. Injuries and family commitments slowed him down, but he still finds himself running most mornings from his home in rural Northamptonshire, with his dog Nutmeg as company. He relishes the challenge of running off road, reciting with lyrical intensity the sights, the sounds, the smells and the underfoot conditions. Be warned: this is a man who loves nothing more than running through a ploughed field. For him and other off-roaders, every day is different – and a run is never boring, which, he points out, is the problem with most standard training programmes. The iron-clad routine will eventually kill you. 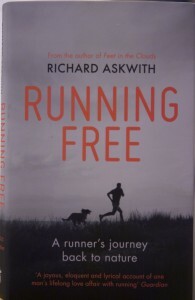 Askwith has explored every form of off-road running, including acting as a “hare” for a local pack of hounds, the Hash House Harriers in near darkness, the chaos of the cheese rolling race, and a “mud race” – nature packaged for urban warriors, but still tough enough to warrant respect. Interestingly, he doesn’t have much time for Parkruns, which he feels are merely the “free” arm of Big Running and in thrall to their sponsors. That may be the case in the UK, but it isn’t in Ireland. So far anyway. He offers sound advice for like-minded runners on how to manage mud, how to warm up frozen feet (put them in cold water, not warm), and how to deal with cows (untrustworthy animals, especially if you’re running with a dog, as I know myself). A book well worth reading – even if Askwith doesn’t offer the best reason of all for running: the true and honest friends you make at all stages of your life.